Samsung makes sure to note the 20-nanometer microarchitecture of the new chips, which allows for both faster processing and less power consumption. The quoted speed for the RAM is an astonishing 3.2 gigabits per second, considerably faster than most DDR3 memory modules available for full-sized desktops. 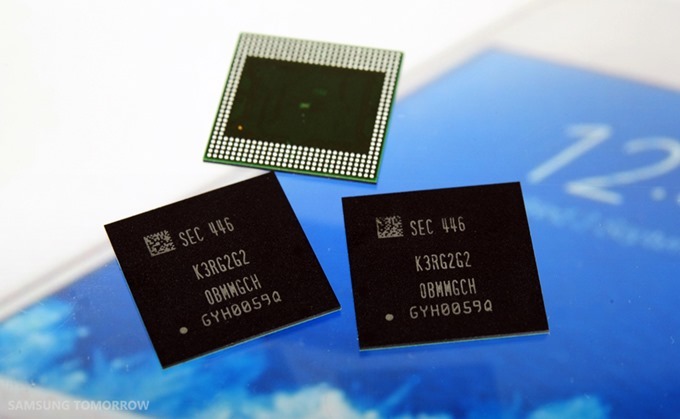 Production of the smaller 2GB and 3GB versions of the chip (4 and 6 gigabit, respectively) based on the same architecture began earlier this month. Samsung claims that the new chips are so efficient that a single 2GB module uses 40% less power than a similar setup with its previous-generation LPDDR3 memory. 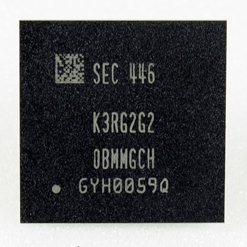 Samsung says it will start providing the 8 gigabit, 4GB chips to its OEM partners starting early in 2015. It's not beyond the realm of possibility that we could start seeing a big crop of 4GB flagship devices as soon as Mobile World Congress, with perhaps some ambitious manufacturers doubling up the modules for 8GB. Overkill? Probably. Awesome? Absolutely.